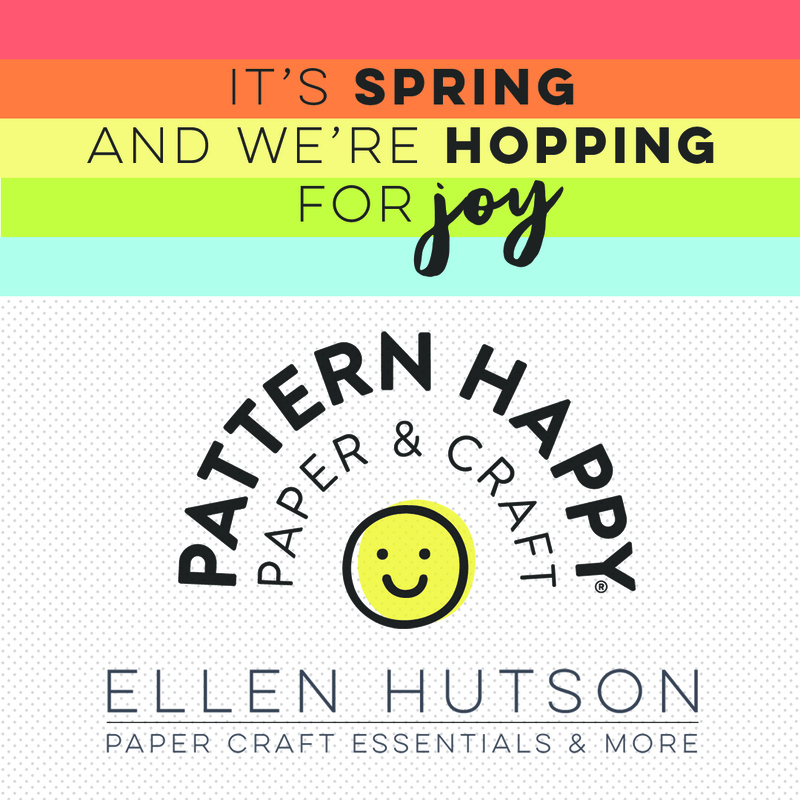 I am so, so, so excited to be hopping today with EH & Pattern Happy! 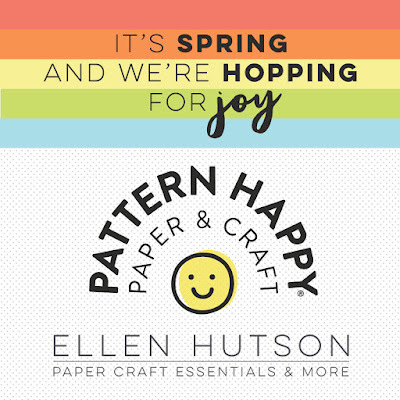 And how lucky am I to be on the Ellen Hutson and Pattern Happy teams? Sometimes I have to pinch myself! Such a cute card! Love that cute sunshine! Suntiments, and fun puntiments, too!!! Brilliant, happy sunshine, great peek at more papers . 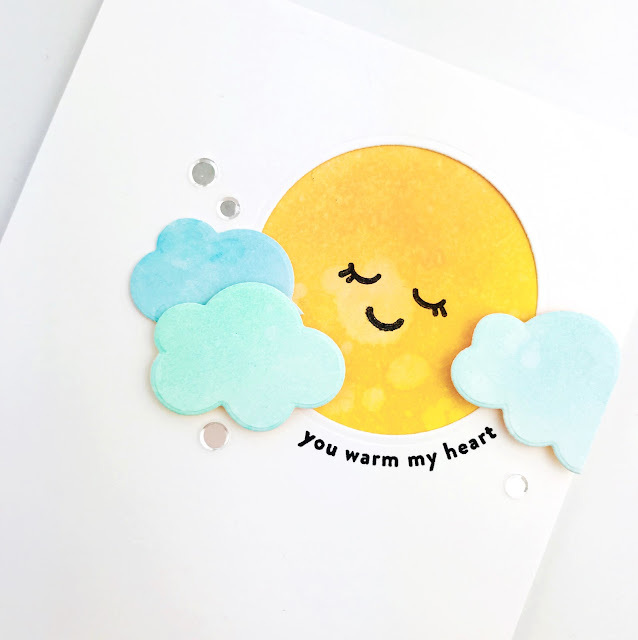 I like the clean look of your card with the sweet sunshine. Perfect for spring! Such a sweet si ole card, love it! Like sunshine on a rainy day. These are adorable and fun! So cute - love those sweet, sunny faces. 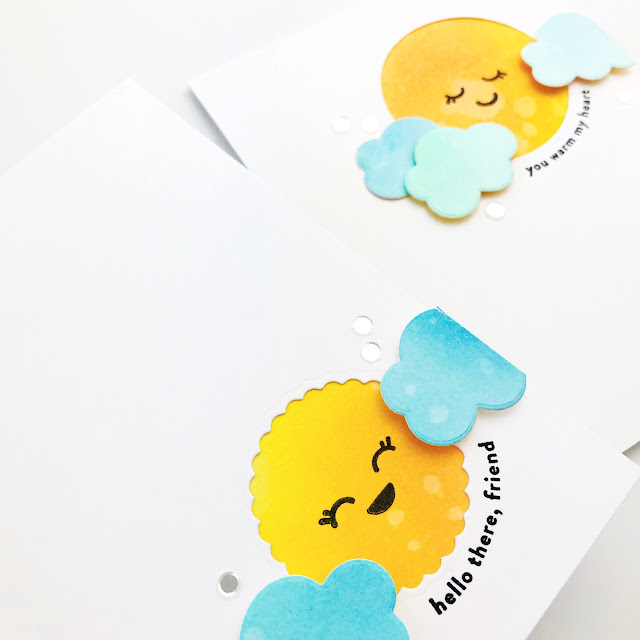 Lovely card ideas! Love the sunshine.. So creative, so brilliant, so so sweet! Such a happy card! Thanks for adding a video too! Love your happy card! It makes me smile, it's so cute! Sweet cards! Love the dies and the sentiment! Pretty colors too! So cute with the sun and clouds. What an effective way to do a CAS card! These are so sweet. Thanks for sharing! Love the pop of color on each one. Thank you for sharing! 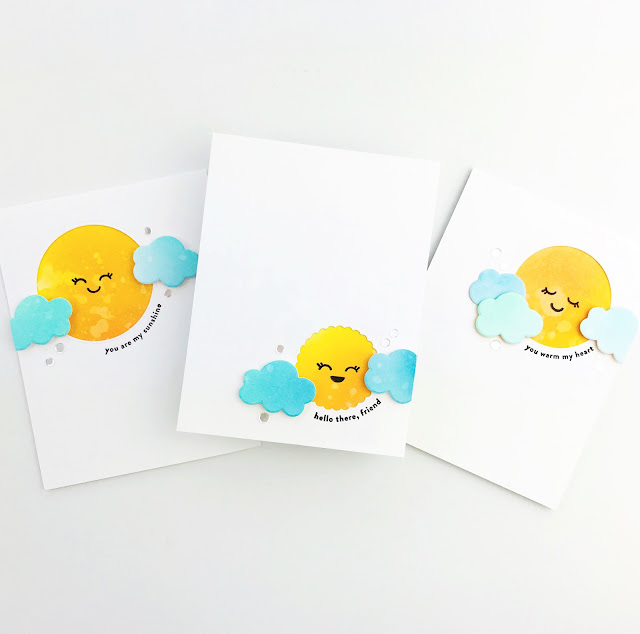 your cards are just too darn cute!! Love your sweet sunshine!!! & you! adorable cards!! I love the happy little sun!! Carly, these are such cute and happy cards! You always do such sweet cards. You are so right about playing with inks for a little mood enhancer! Your cards are so cute and cheery, definitely would put someone in a better mood if they received one in the mail! Thanks for the tip on the tape and placement. I too suffer from mis alignment issues. Oh my !! Your cards are simply irresistible !! These cards are just the cutest! I love those happy suns and the sweet clouds! Sweet cards. Thanks for sharing the technique video.